MORE PDF FLYERS – AVAILABLE SOON! 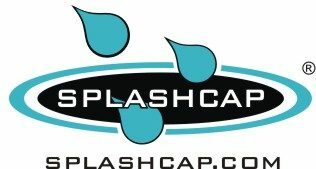 Improve Safety & Productivity in the ER with the SplashCap. The SplashCap is a twist-on wound irrigation shield that allows a clinician to deliver hundreds of milliliters of irrigation fluid directly to a wound in seconds. It is the first and only wound irrigation shield to fit on all standard saline bottles for manual wound irrigation. Use the SplashCap to provide high pressure, high volume irrigation that saves time and money compared to tediously refilling syringes. It improves throughput and turnaround times by reducing inefficiencies. The SplashCap is used everyday by your colleagues in hospitals across the US to save time and money. To learn more, please scroll down to review the information below. For those of you that have been using our products and spreading the word to your colleagues, Thank You! Use the EyeCap for instant eye irrigation. Use as a bridge to other eye irrigation methods that take longer to set up and are difficult to tolerate. The EyeCap spray makes a “pool” of irrigation fluid, so patients can easily open their eyelids as if they were swimming underwater. This overcomes the blinking reflex, enabling deeper penetration than harsh streams. It fits any saline bottle! Use the EyeCap as definitive treatment for many of the minor irritants which can be washed away for immediate relief (e.g. pollen, smoke, mucus and work environment irritants) or to float out visible or invisible foreign bodies. In more serious injuries, start with the EyeCap and use it as a bridge to more invasive irrigation lenses apparatuses. The EarCap is a unique ear irrigation system with a built in catch basin that uses standard saline irrigation bottles as the fluid reservoir. This provides a large volume irrigation system that can create the necessary turbulence to loosen wax and flush it out into the built in catch basin. The EarCap works with gravity. Rather than blasting wax further down in the the ear, the EarCap is positioned below the ear so the fluid drops into the basin. It can be used by the clinician as a billable ear irrigation tool and it can be left with a patient for self-use and even home use. The built in catch basin reduces the number of hands involved and it reduces the mess from the procedure. The flexible and adjustable tip optimizes placement. The threaded attachment for a saline bottle allows the delivery of large volumes of fluid without having to tediously refill a syringe or hand pump over and over again. Use the EarCap to reduce the time and resources involved with wax removal (and even for some foreign bodies). The AbscessCap is for irrigation of minor wounds and abscesses. Irrigate deep into wounds and abscess with the unique nozzle of the AbscessCap. The rigid nozzle protrudes beyond the irrigation shield to make it easier to probe into a wound and reach difficult spaces. Deep irrigation will help clean the tissue by flushing out pockets and recesses to reduce the bioburden and to help promote healing. Like the SplashCap and EyeCap, the AbscessCap fits on any saline bottle. You can use the AbscessCap with a standard bottle or use it with luer tip syringe. Don’t just wash the top of the incision site to make it look pretty. Go deep to flush out the abscess to reduce the bioburden and prevent the recurrence of microabscesses and treatment failures. The EasiEar Disposable Comfort Curette is a safer, more comfortable metal curette for the removal of wax and foreign bodies. The rounded wire surface is smoother and gentler. Plastic ear curettes have sharp, jagged created during the plastic injection molding process. The abrasive “flash” along the seams causes pain and bleeding as the plastic curettes scrape the skin surface of the ear canal. The rounded stainless steel surface of the EasiEar Curettes has no seam, no edge and no abrasive surface. The EasiEar is more comfortable on the sensitive external auditory canal and much less likely to cause bleeding. The EasiEar is disposable. With the unique spring wire construction, the EasiEar is sold at an economical price. The EasiEar is slightly more than cheap disposable plastic curettes and even less than other plastic curettes. The wire surface is easier to wipe clean when using on the same patient. Avoid using multiple cheap plastics curettes on the same patient when a single EasiEar curette would cost less and be more effective. Clear nasal secretions to feel better and breath better. The Schnozzle nasal irrigation adapter makes it easier and safer to flush the nose. It is great for Kids & Adults. The Schnozzle was invented by a Pediatric ER physician to better treat congestion babies when suctioning had failed; but then all the nurses, nurses parents (and even his own kids) wanted to used it too!. Twist the adapter onto any Luer lock syringe and steadily depress the plunder. The positive pressure expands the nasal passages to loosen secretions and debris clearing the nose for air to pass through. The Schnozzle gives you better control over the pressure and volume than other devices. Click below for additional resources.